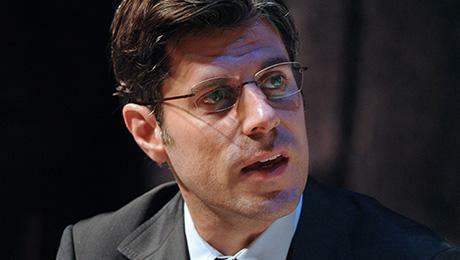 How difficult is it to run a successful hedge fund these days? Just ask Tim Garry, a nine-year alum of John Burbank's Passport Capital, who launched Pelorus Jack Capital in April 2017, after raising $250 million only to shutter it after just over a year of trading. Worse, it's not like the fund suffered some spectacular collapse last year: according to Bloomberg, the Pelorus Jack Onshore Fund lost just 2.5% between April and November of last year. However, that's when the problems started: according to a late 2017 letter to investors seen by Bloomberg, Garry said that the firm was shorting growth equities, particularly in the technology and health-care industries, and was holding onto value stocks. In other words, it had something similar to the Davd Einhorn "short tech basket" on. And while the firm was also betting on higher volatility, with the letter correctly predicting that "if volatility rises we are going to see a massive repricing in risk assets", the positioning was clearly not enough to offset the continue steamrolling of value stocks by the relentless growth brigade. 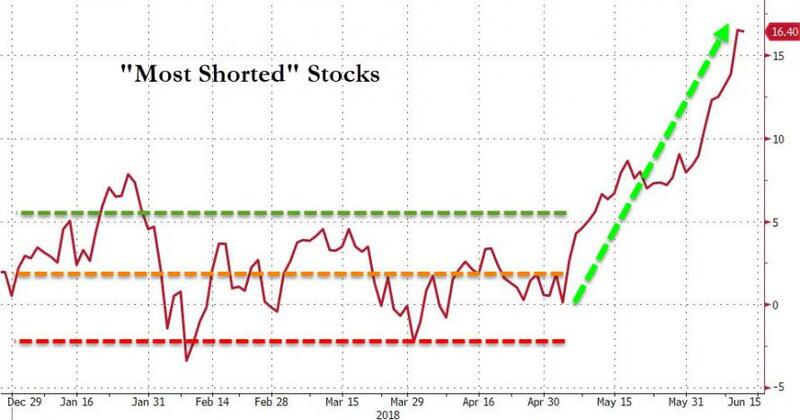 One wonders how many other funds, like Pelorus Jack, have been covering their shorts into the current tech short squeeze, forcing tech names to surge even higher during a time when even Goldman admitted last week that the past month has been one giant short squeeze. 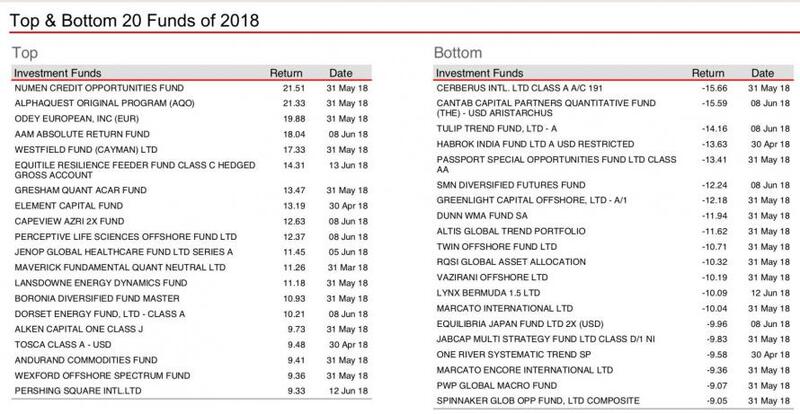 Meanwhile, the hedge fund pain continues as the following HSBC summary ranking of the Top and Bottom 20 hedge funds shows: in fact, based on this data, Passport itself may soon follow.